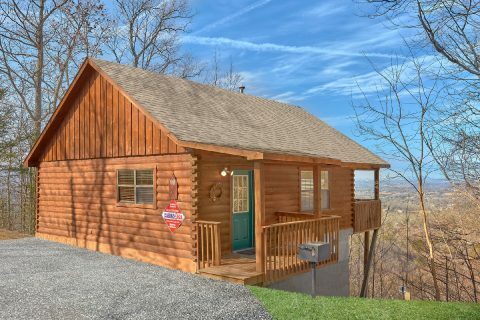 Nestled in the mountains near Pigeon Forge and Dollywood Theme Park, you'll find "Angels Attic," a lovely and affordable 1 bedroom cabin that sleeps up to 4 in comfort! 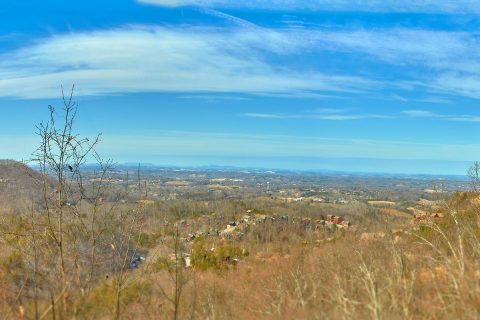 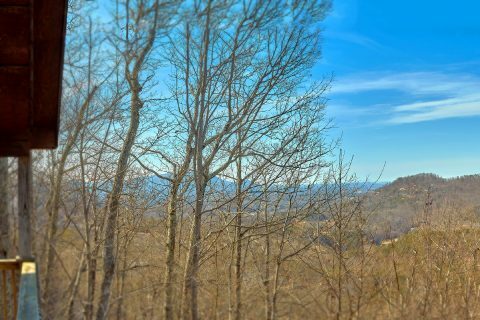 With a great location that's only 4 miles from the Pigeon Forge Parkway, you can easily reach top attractions like the Island and The Titanic Museum, along with plenty of shopping and dining options. Additionally, other destinations like Downtown Gatlinburg and the Great Smoky Mountains National Park are also only a short drive away. 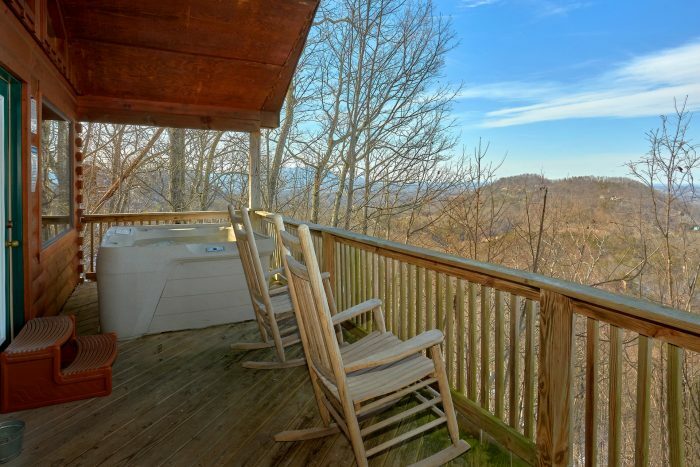 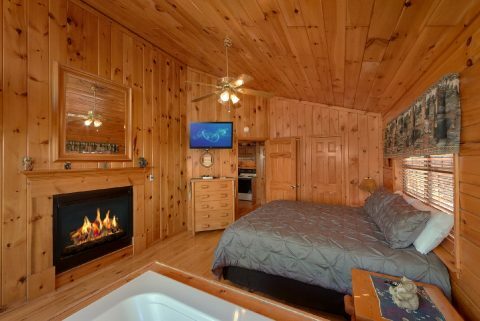 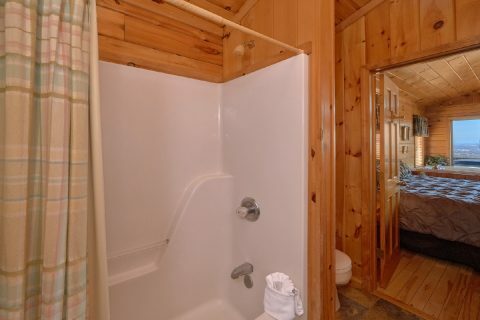 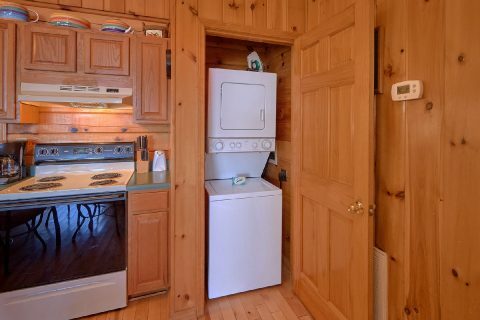 When you aren't busy enjoying the best sights that the Smokies have to offer, you'll love relaxing at this comfortable cabin with your sweetheart. 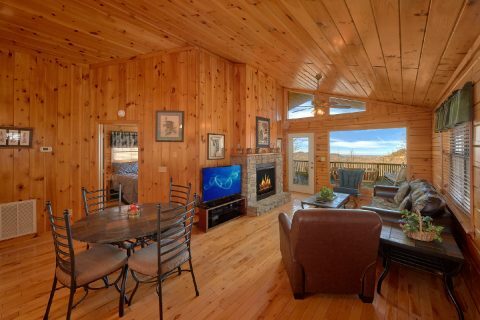 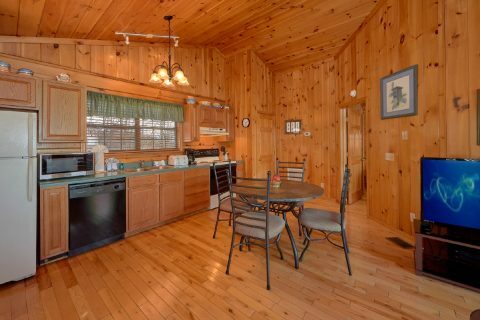 This cabin's open floor plan creates a welcoming space for spending quality time with the person who matters most. 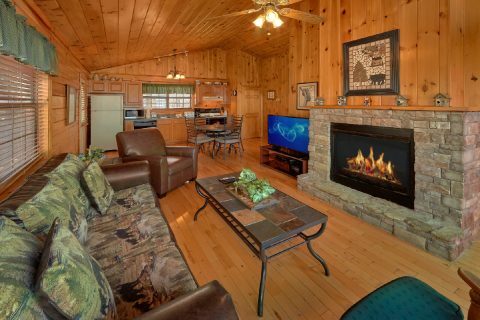 In the living area, you can enjoy a laid-back movie night while you curl up by the stacked stone gas fireplace. 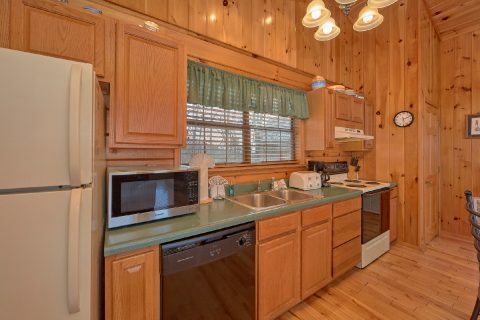 For dinner, you can enjoy a great restaurant in town or you can use your cabin's full kitchen to make a delicious meal for two! 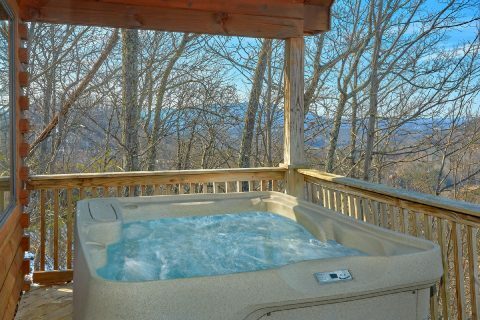 For a romantic evening, you can also take a dip in the 4-person hot tub on your cabin's covered deck. 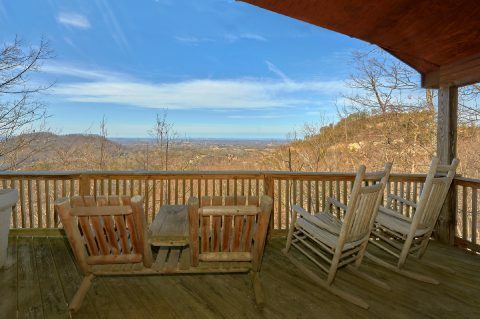 This deck also comes with porch rockers and white cedar double recliner. 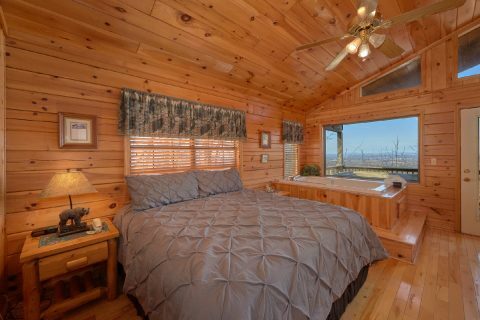 Once it's time to get some rest before your next day of vacation, you can look forward to sleeping in your cabin's king-size bedroom with a private full bathroom and a two-person jetted tub. 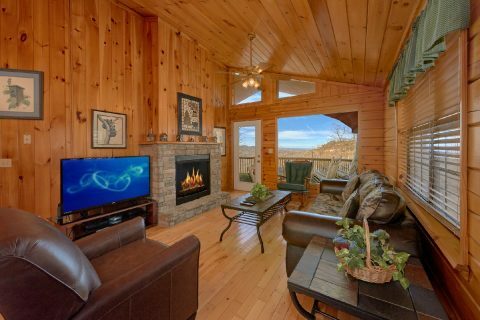 For extra guests, this cabin provides a sleeper sofa in the living room. 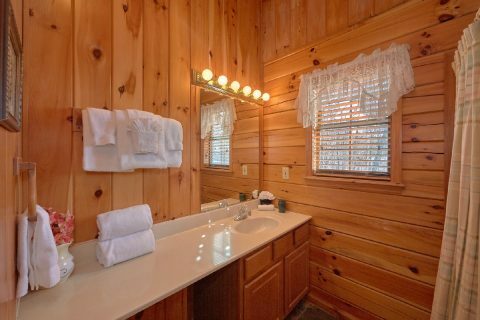 Best of all, you can save 15% on your cabin's nightly rate when you book "Angels Attic" online with Cabins USA Gatlinburg! 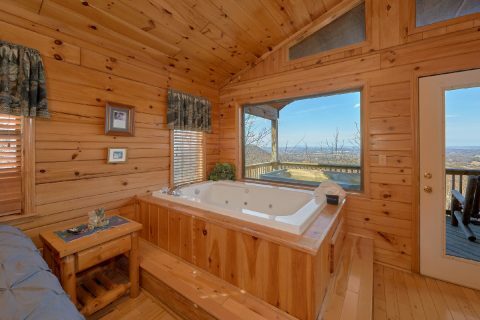 Simply check this cabin's availability or call our reservations office to see how much you can save on your honeymoon or romantic weekend in the Smokies!